When a prestigious educational institution with a global reputation embarks on a new cooperative venture with an international government, the successful merging of both cultures becomes a crucial success factor for the institution, the host city and — most crucially of all — the students and faculty. 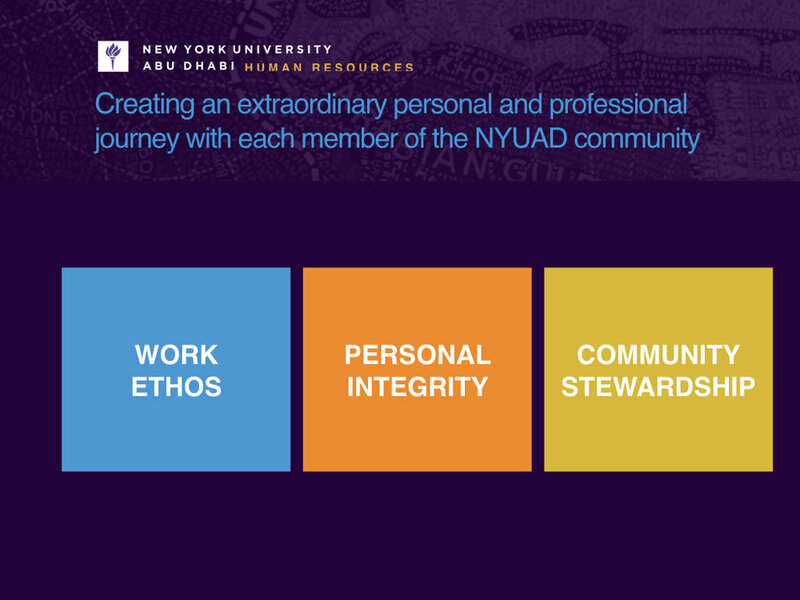 Working closely with the Human Resource department of NYU Abu Dhabi, our strategy team defined a new cultural ethos for the university faculty and staff. The team articulated a new strategy, through vision, values and principles, that would define a new work and life environment blending the distinctive character of the NYU main campus with the cultural heritage of Abu Dhabi. The engagement culminated in a new strategy framework for the Human Resource department which was then adopted across the university. Our Brand Practice then supported the client teams with messaging and experience design to craft engaging recruitment journeys that communicate the distinctive culture and work environment of the NYU Abu Dhabi campus.